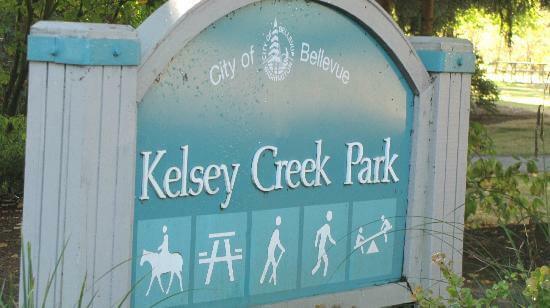 SNOHOMISH, WA: Big Trees Inc., (http://bigtreesupply.com/), a tree transplant and tree nursery company in the Seattle area, was asked to transplant a large Beech tree in Kelsey Creek Park for the City of Bellevue, Washington. The transplant went smoothly, and the tree will get the opportunity to continue to thrive in its new location. Big Trees was approached about this situation when it became clear that some adjustments were necessary to the park’s layout. A number of changes were required, and that necessitated moving the playground to the tree’s location. There was a consensus that the tree was an important part of the park’s aesthetic and general ambience, and the decision was made to have it transplanted to another part of the park. Big Trees prepared the root ball for handling, keeping the size and shape of the tree’s canopy and the subgrades the tree had been growing in, in mind when shaping the ball. The root ball was wrapped in progressive layers with burlap and barrel lacing of rope. The following day, the crew utilized a large all-terrain forklift to move the 20’ tall, 8” diameter trunk Beech tree to its new location. Once the tree was set and spun correctly, the wrapping was removed from the root ball. The Beech tree was replanted and secured to maintain the integrity of its root system and protect it against any strong breezes.